Our corporate event balloon decorations are designed to liven up any event venue! 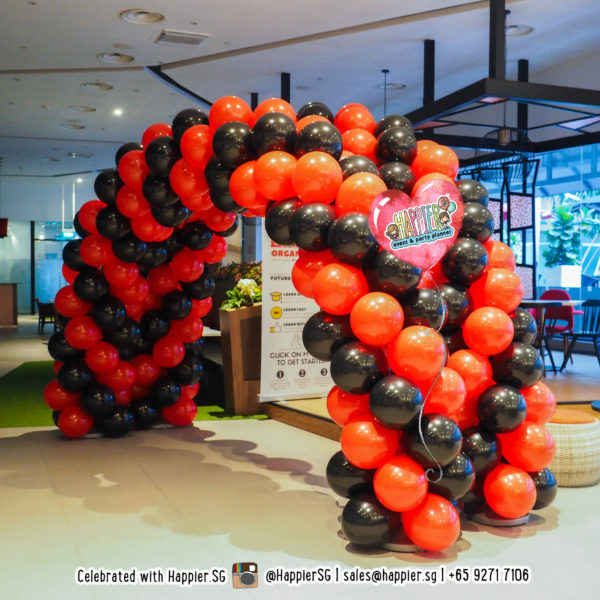 Celebrating your corporate events is a breeze with Happier Singapore as our creative balloon decorators will inject fresh ideas to your special occasion every time. Whether you have chosen to host your company’s annual dinner, appreciation/awards ceremony or product launch, our professional event decorators will bring in the good vibes where ever you go! 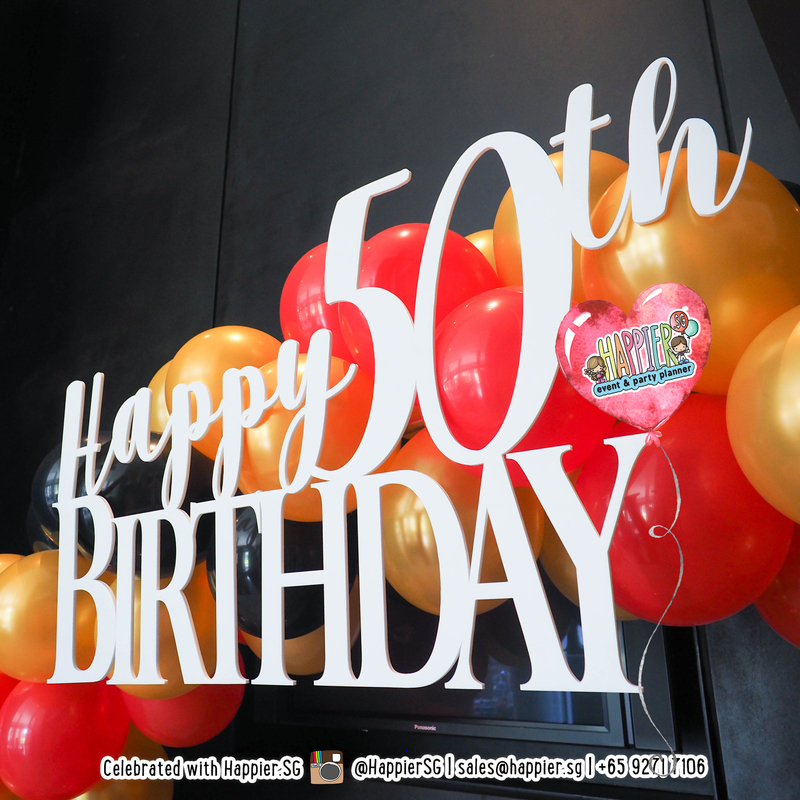 We will recommend the type of balloon decoration that best fits your event requirements while allowing you to have full control over the design. You can choose your corporate colours, include your company logo and jazz it all up with the most amazing balloon sculptures for a guaranteed crowd pleaser. Our corporate event decorations are usually interactive and create awesome photo taking opportunities for your colleagues to remember this iconic celebration! Including a photo of your event venue when you submit your enquiry allows us to do a quick assessment on the feasibility and suitability of the type of decoration for your event. 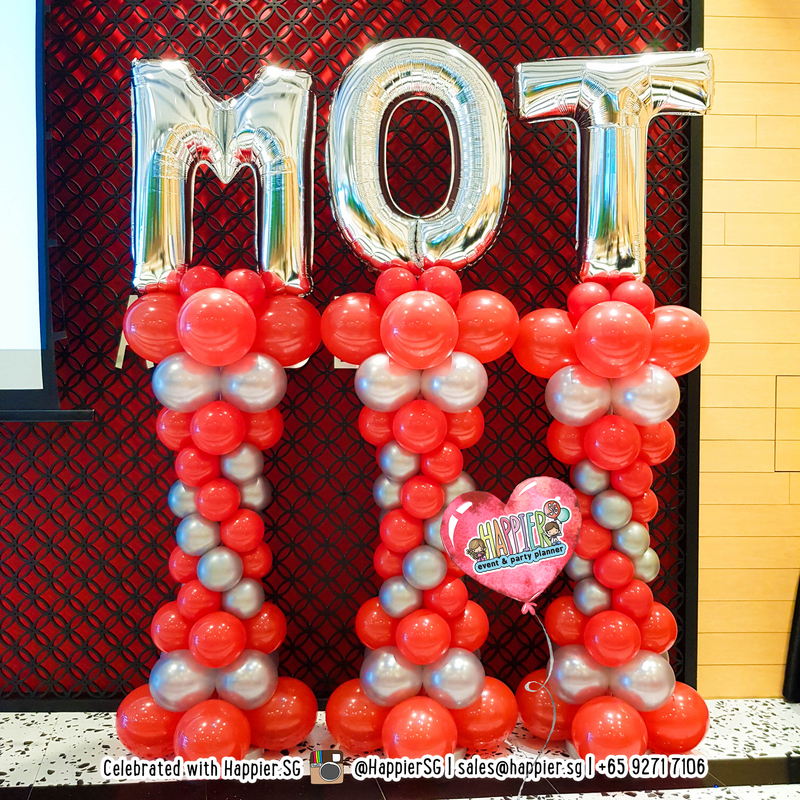 Our team of event decorators will be able to give you the recommended balloon decoration type, estimated dimensions and price. From hotel ballrooms, restaurants, bars, offices, outdoor spaces, condo function rooms, private homes, concert halls or malls, we have done them all! Once you have decided on what you like, we will advise you on the duration needed for setup. Every project is unique so the setup duration required may differ. Upon confirmation of your booking, we will handle the rest of the logistics involved in installing your event decorations so that you can sit back and enjoy your event. If there is any teardown required, we will let you know as well. How do you charge for balloon decorations? 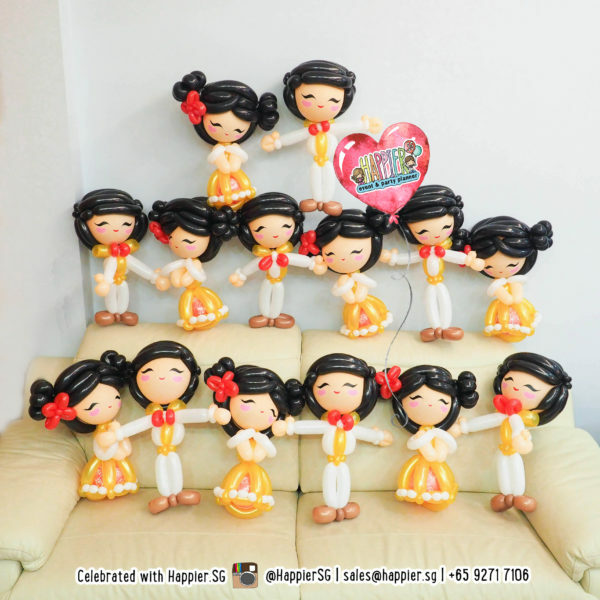 As all our balloon decoration projects are fully customized to your requirements, the prices vary according to the design elements, dimension and venue type you choose. Can you add my company name/logo/mascot into the balloon decoration? Yes! Feel free to include your request under your preferred design elements when you submit your enquiry. 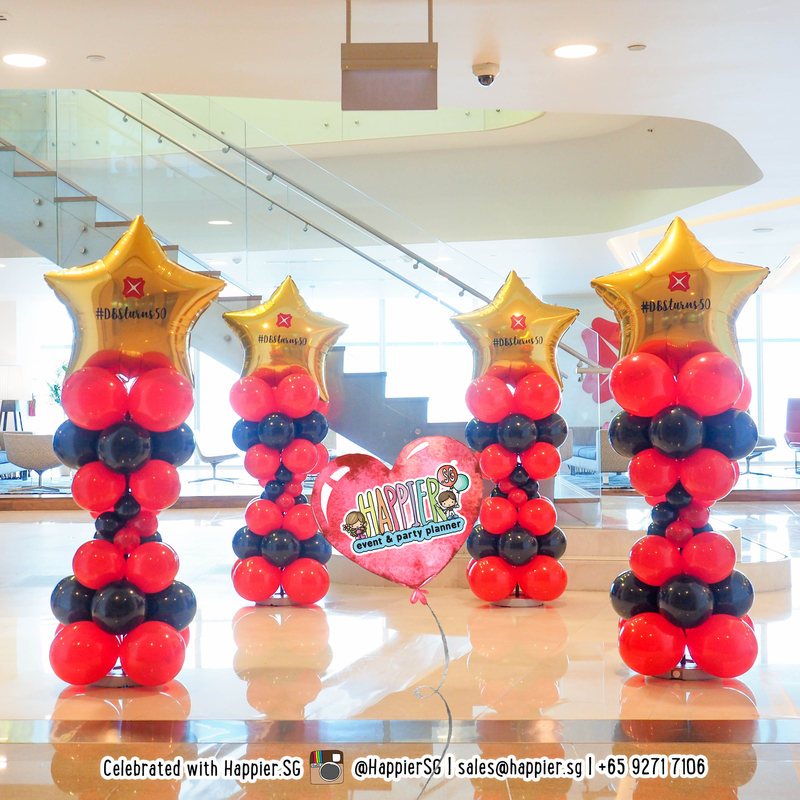 Our party decorators will factor that into your recommended balloon decoration. If you can compile a short document with photos of your company logo/mascots together with your venue photo(s), we will be able to give you a more precise recommendation. How long can these balloon decorations last? As most of our event decorations are comprised of air-filled latex balloons, they will look their best in the first 3 to 4 hours upon installation. After which the colours will turn slightly frosty due to the natural oxidation process of rubber. Our professional-grade latex balloons are typically able to stay in relatively good condition (with slight shrinking) over 3 to 4 days indoor in a dry cool environment. Normal helium-filled balloons also go through oxidation within the first 3 to 4 hours. However, they can only stay afloat for 6 to 8 hours upon delivery. 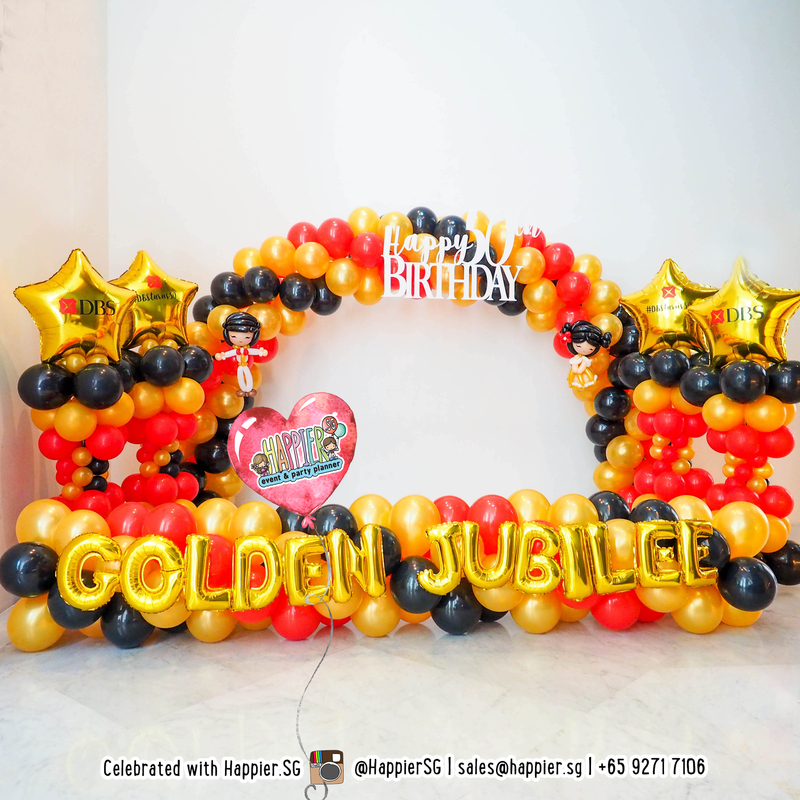 As such, air-filled balloon decorations remain the choice amongst most of our customers who prefer the flexibility of keeping their balloon decorations after the event. Can I touch the balloons? Yes you may touch the balloons gently with clean and dry hands. Please avoid pulling, squeezing, scratching, poking with sharp objects or rubbing against any kind of rough or dirty surfaces as it may cause the balloons to pop. Why do my balloons turn frosty? Freshly inflated balloons are usually shiny and bright. As all latex balloons are manufactured to be biodegradable, they will turn eventually turn frosty and dull. This process may be expedited in Singapore’s hot and humid weather. If you are in a non-aircon environment, the effect may be almost instantaneous. You will need to let us know if you wish for us to apply different techniques to increase the longevity and lustre of your balloon decorations. What do I need to prepare for balloon decorations? 1) Ensure that there is a working 13A power source within 5m where your balloon decoration is to be placed at. Please let our party decorators know if your power source is located further than 5m away as it may effect the setup duration. 2) Seek permission from your venue manager for noise disruptions due to popping balloons or our electric pump during the setup time slot. 3) Ensure that you or an alternative on-site contact person is present to open up the venue for us during setup. 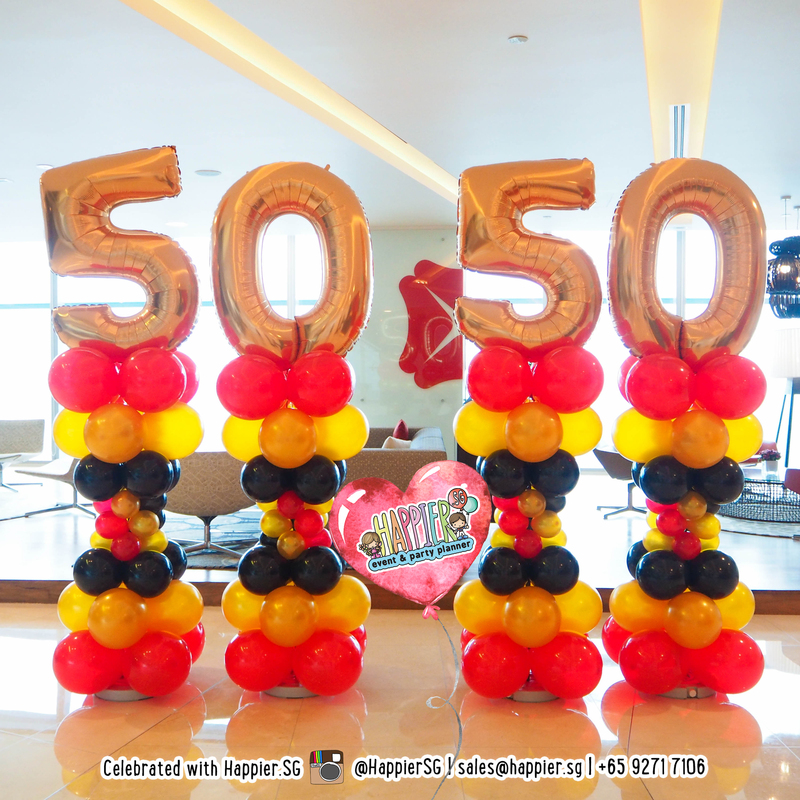 How long in advance do we have to book your balloon decoration services? Popular party decorators often have a pool of repeat customers to serve so it is always wise to give yourself AT LEAST 2 weeks especially if you are booking us for the first time. All our balloon decorations are made-to-order so we do need time for logistics preparation before arriving for setup. We confirm bookings on first come first serve basis upon full payment. What if I have yet to finalise my event but I am really keen to book your decoration services? 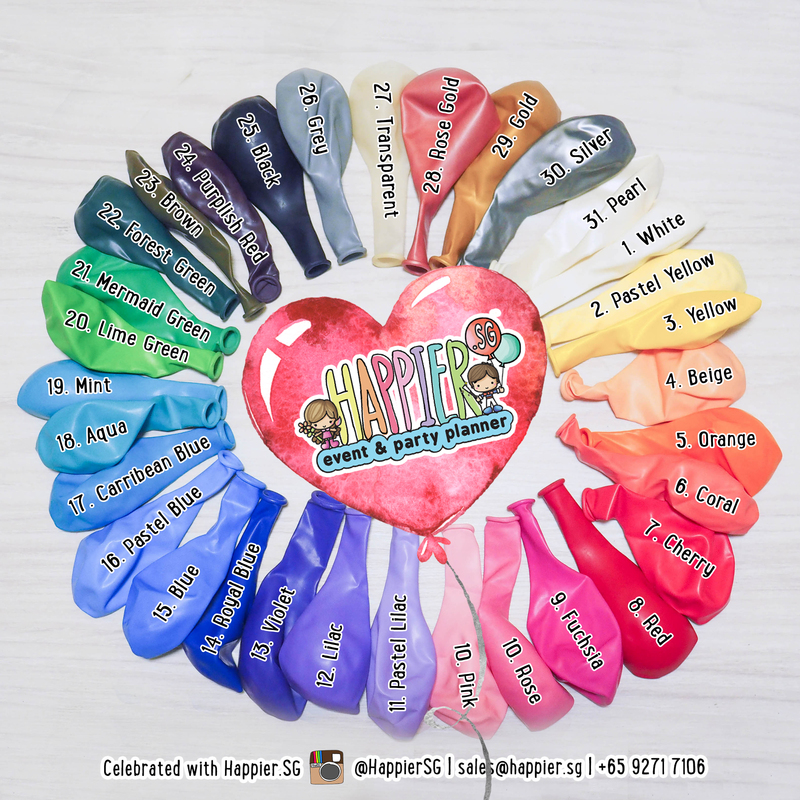 Happier Singapore is the only event & party planner you will ever need. Delivering top notch entertainment, decoration and art services is what we are best at. We always put your happiness first whether you are planning a corporate event or private party!